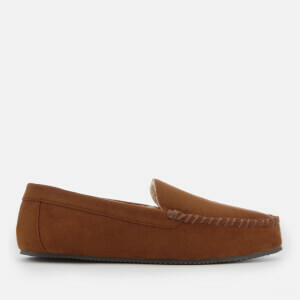 Moccasin style slippers by Polo Ralph Lauren. The ‘Dezi IV’ is crafted from a soft microsuede upper, a faux suede that has the look and feel of the real thing, and faux shearling lining for ultimate comfort. 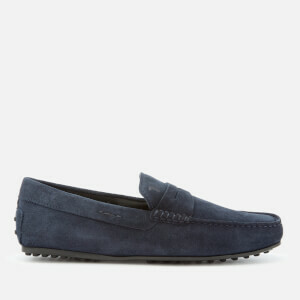 A moc toe with a stitched seam around the top and a flat, ridged sole for flexibility and grip also form the design. The signature Pony logo is embroidered on the vamp. Upper: Textile. 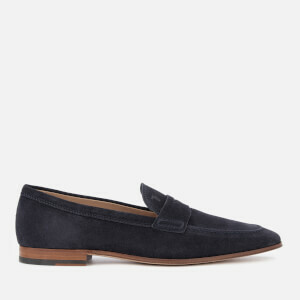 Lining: Faux Shearling. Sole: TPR (Thermoplastic Rubber).